Flights from Winnipeg to Helsinki, Finland (HEL) or Riga, Latvia (RIX) are available as far away as June 2016 dates for just $585 CAD roundtrip including taxes. The flights are with KLM. Focus on searching for dates in October 2015 and between May to mid June 2016. Try flights that are departing on Monday or Tuesday & returning on Thursday or Sunday. Where to stay in Helsinki or Riga? The following AirBNB links will lead you to some great deals on places to stay in Helsinki or Riga for under $80 CAD per night for 2 guests. 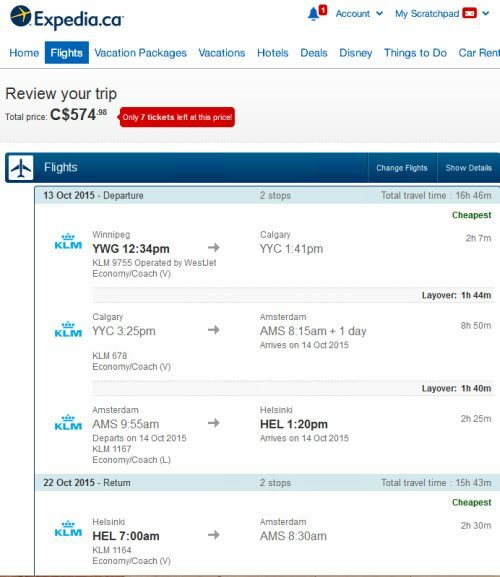 winnipeg, ywg, flight deals, europe, eastern europe, northern europe, nordic countries, scandinavia, riga, latvia, rix, baltic states, klm, helsinki, finland and hel. 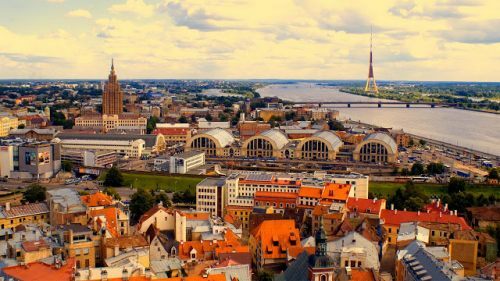 2 Responses to "Winnipeg to Helsinki, Finland or Riga, Latvia - $585-$591 CAD roundtrip including taxes"
Thank you for this, Chris, and also for the 3d party booking sites info. I just noticed that you posted this Finland/Latvia deal on Facebook on August 2 and posted it here today (Aug. 4). If I want to find out about deals asap do I need to sign up for FB? Typically, they will be posted here at the same time as on FB. But I was heading out for the long weekend, and didn't have time to write up and post it on the blog before leaving.